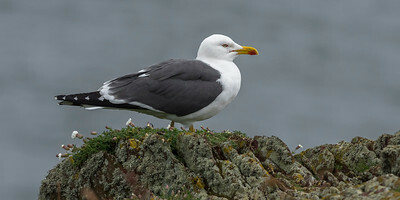 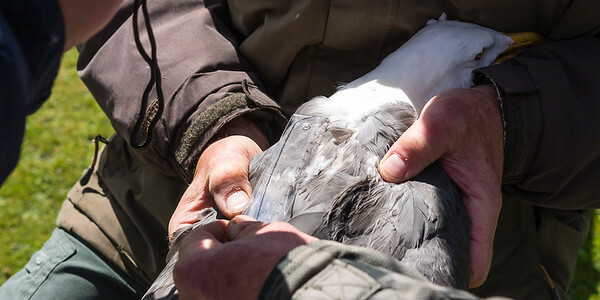 A Lesser Black-backed Gull with a GPS transmitter on the back is caught on the nest for removal of the transmitter. 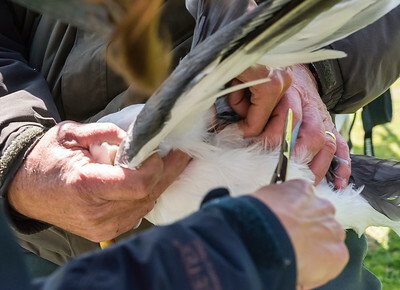 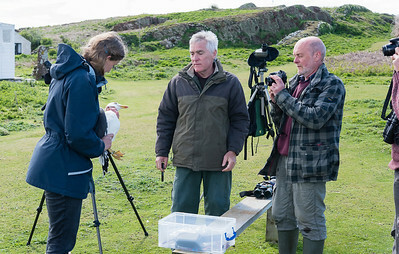 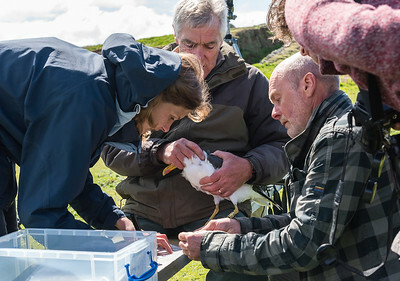 A Lesser Black-backed Gull with a GPS transmitter on the back is caught on the nest, and the transmitter is being removed after end of use. 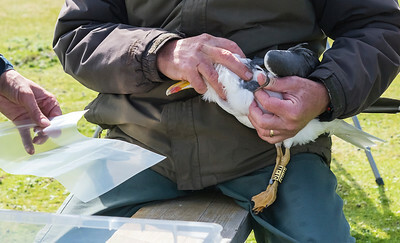 Ring numbers are checked. 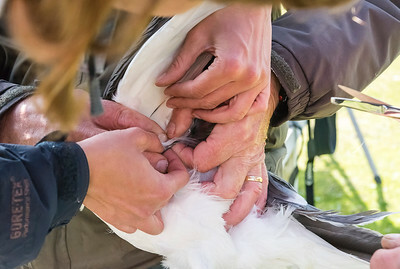 A Lesser Black-backed Gull with a GPS transmitter on the back is caught on the nest, and the transmitter is removed after end of use. 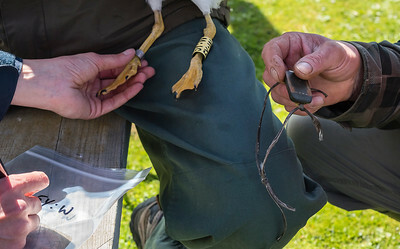 A Lesser Black-backed Gull with a GPS transmitter on the back is caught on the nest, and the transmitter is removed after end of use. 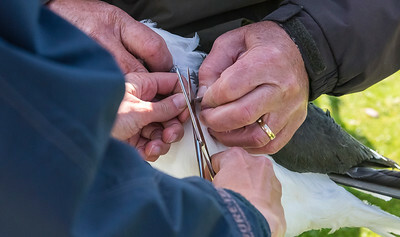 The bird's back is examined, and it is fine. 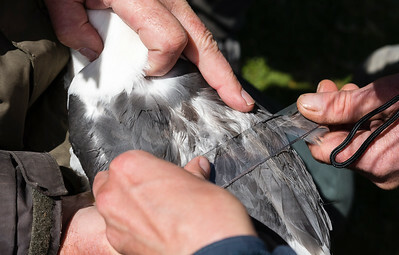 A Lesser Black-backed Gull with a GPS transmitter on the back is caught on the nest, and the transmitter is removed after end of use. 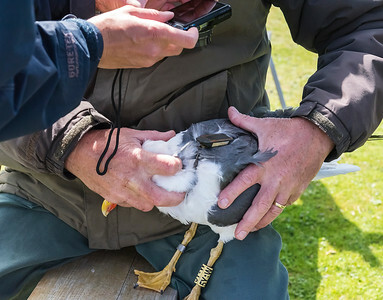 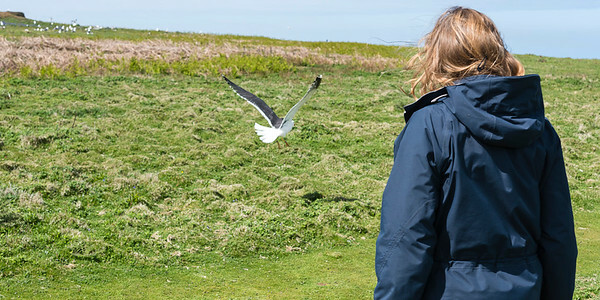 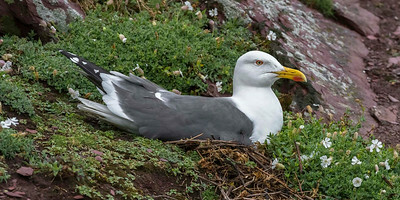 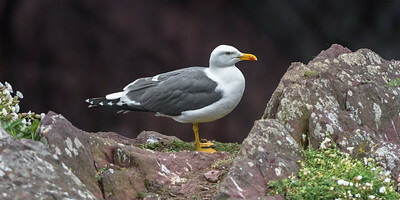 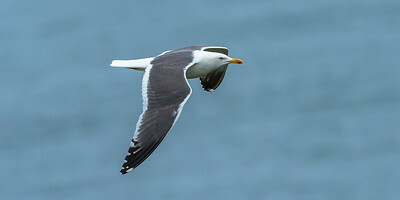 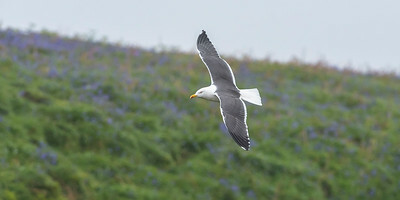 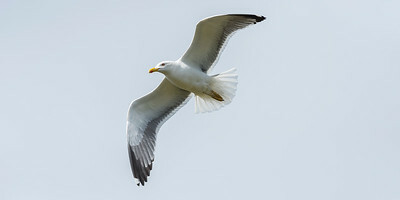 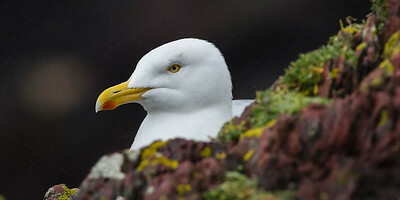 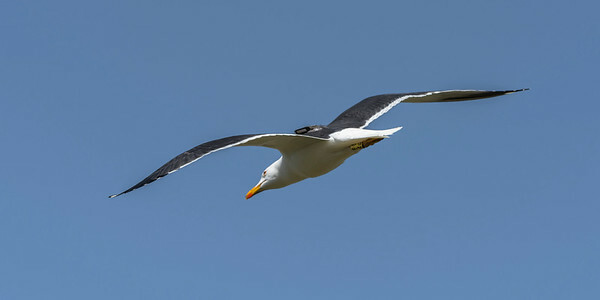 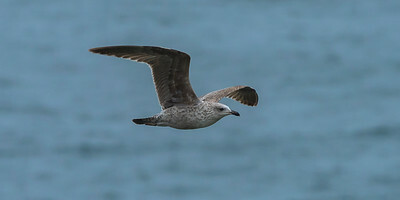 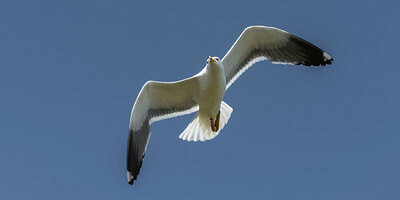 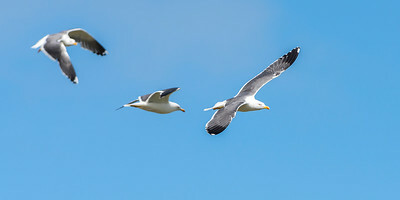 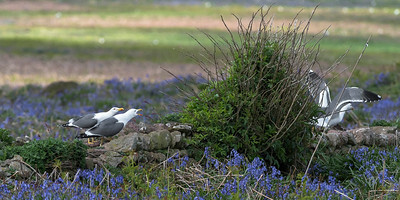 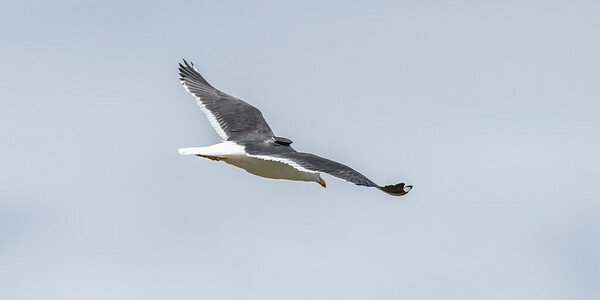 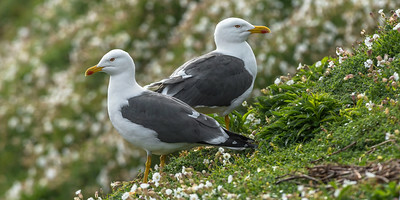 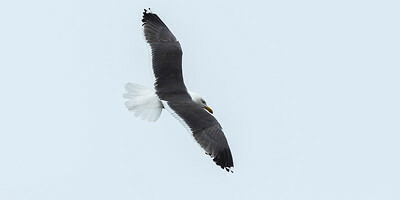 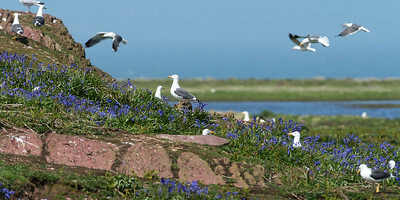 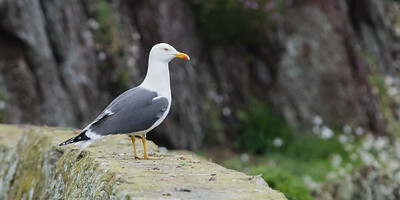 A Lesser Black-backed Gull with a GPS transmitter on the back is caught on the nest, the transmitter is removed after end of use, and the bird is ready to go free again.